In my book, How To Be a Rocket Scientist, I explain in Tip #2 that “rocket science” is actually a lot more than rockets. And science! These two things are popular and vital elements, of course. But the more accurate and comprehensive term is the aerospace field. Within that, we have space, aviation, aeronautics, and all of the ground-based systems and cyber systems that are integrated into the vehicles and operations above the surface of our planet Earth. One of the most exciting and growing sectors in aerospace today–and for many decades to come, I predict–is unmanned aircraft. 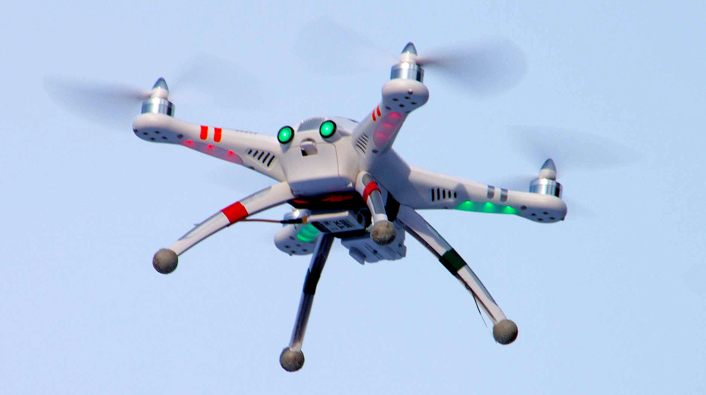 They are also called drones or, more technically, Unmanned Aerial Vehicles (UAVs). As an engineer, I favor acronyms. Plus, “drones” has a negative connotation to me. Anyway…if you want to pursue a career in aerospace, UAVs are definitely here to stay and their share of the aerospace sector is certain to increase. Here is a 2014 forecast from the Teal Group that predicts the worldwide UAV market will grow to a whopping $91 Billion dollars by 2024. It was $6.4 Billion last year (2014). Giddee up!! That’s massive opportunity! What can you do to takeoff and fly to great heights with a career in this sector? Tip #3 in my book is Associate with people in the field. One essential way to satisfy Tip #3, plus make major progress with Tips 8 and 9, is to join a professional association or society that is aligned with your career goals. There are many relevant for the UAV business and technologies. I list the major ones in my book. Below, taking advantage of our dynamic and hyper-connected world, is a more extensive list that I will be able to update later. If you don’t see one that you think should be included, please let me know with a comment below. Today, the UAV business is a little bit like the barnstorming days of early aviation. It’s the “wild west” of UAVs in the commercial and civil markets. Don’t be the Lone Ranger. Get patched in with an organization that has the goals, strategy, relationships, and vision for a long term, prosperous, and sustainable industry. The summaries for each organization have been copied from their websites. The organizations with scopes larger than just UAVs have at least one subcommittee or subgroup that are focused on UAVs. The current list count is 16 organizations. The world’s largest model aviation association, representing a membership of more than 170,000 from every walk of life, income level and age group. It’s a self-supporting, non-profit organization whose purpose is to promote development of model aviation as a recognized sport and worthwhile recreation activity. EuroUSC™ is Europe’s leading independent approvals specialist covering accreditation of organisations, airworthiness assessment and flight crew licensing for remotely piloted aircraft systems (RPAS) or unmanned aircraft systems (UAS) operating within civil airspace. EuroUSC™ currently concentrates its main efforts on non-European Aviation Safety Agency aircraft systems, which are currently dealt with independently by each EU Member State through their own National Aviation Authority (NAA). The Japan UAV Association (JUAV) is the organization representing the industries which develop, manufacture and operate unmanned aerial vehicles (UAVs) in Japan. It was organized for the purpose of promoting safety and contributing to the development of the UAV market in Japan. ACUO is the only UAV industry body directly representing the commercial sector of unmanned aviation in Australia. UAVS is the trade association for the United Kingdom (UK) UAV industry. The Association’s role is to interface with government and the regulators ensuring that industry’s perspectives, objectives and views are put forward in a constructive manner at the highest possible lobbying point. It also seeks to promote those companies and organisations who are members within the context of the industry and to address the issues currently facing the industry on a collective basis. The Small UAV Coalition advocates for law and policy changes to permit the operation of small unmanned aerial vehicles (UAVs) beyond the line-of-sight, with varying degrees of autonomy, for commercial, consumer, recreational and philanthropic purposes. The American Helicopter Society (AHS) International is the world’s oldest and largest technical society dedicated to enhancing the understanding of vertical flight technology. UAVSA, Unmanned Autonomous Vehicle System Association is a solely owned division of the Tesla Foundation Group, a California Non-profit 501(c3) company. UAVSA was established to unify UAV-UAS-RPS pilot owners who seek information for their UAV’s, Ground Station Controllers, Electronics, Pilot training and other related important industry items. Additionally, UAVSA will through its local and national government activities, help to provide a safe and secure environment for pilot-owners to fly their aircraft on commercial missions or just for fun without any fear of breaking local or national laws. The United States Association of Unmanned Aerial Videographers (UAVUS) is the largest membership association of unmanned aerial vehicle (UAV) videographers and photographers in the United States. Our mission is to promote and defend the commercial use of UAVs for video and photography and to develop professional services and educational resources that help our members become leading providers of aerial images. ASTM International, formerly known as the American Society for Testing and Materials (ASTM), is a globally recognized leader in the development and delivery of international voluntary consensus standards. Today, some 12,000 ASTM standards are used around the world to improve product quality, enhance safety, facilitate market access and trade, and build consumer confidence. Committee F38 on Unmanned Aircraft Systems addresses issues related to design, performance, quality acceptance tests, and safety monitoring for unmanned air vehicle systems. We are a professional association of dedicated remote control aerial photographers. RCAPA® provides operational safety guidelines, best business practices, networking and new technology information. With hundreds of thousands of members, AOPA is the largest, most influential general aviation association in the world. UAPA is an organization that focuses strictly on commercial applications for unmanned aircraft systems (UAS). That is quite a list! Thanks for reading this article all the way through. Take care and take charge as you move ahead in the aerial drone revolution! If you want some personal help and advice to figure out what your next step should be, engage with me on a special page I built just for people like you over here.